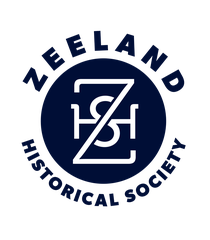 A new updated version of the biography of Zeeland’s founder, Jannes Vander Luyster, has been printed by the Zeeland Historical Society. The book now features photographs pertinent to the biography of Vander Luyster and is available from the historical Society for $10. To order the book, mail your check to the Zeeland Historical Society, P.O. Box 165, Zeeland, MI 49464, or call (616) 875-8036.